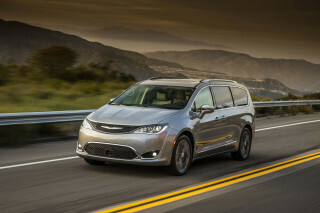 Chrysler’s six-passenger crossover wagon is updated this year with a new 4.0-liter V-6 rated at 253 horsepower now standard on all models except base front-wheel-drive versions, which get a smaller 3.8-liter, 200-horsepower V-6. The new 4.0-liter engine replaces the previous 3.5-liter engine and is teamed with a six-speed automatic, another new feature for 2007. (Base V-6 versions get a four-speed automatic with AutoStick manual shift function.) 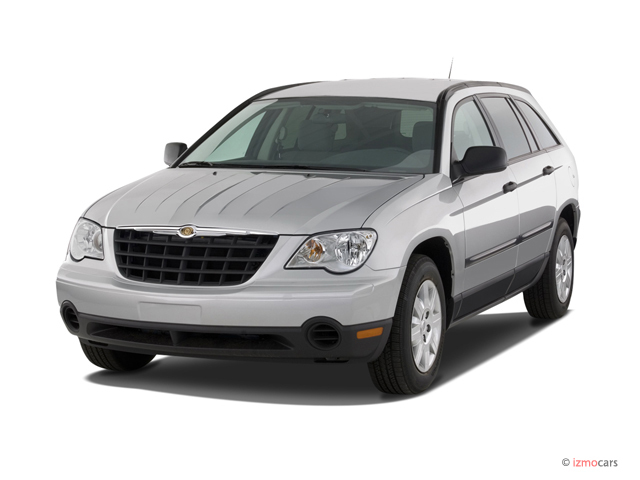 The ’07 Pacifica also gets revised exterior cosmetics and interior changes, as well as three new exterior colors: Cognac Crystal Pearl Coat; Marine Blue Pearl Coat and Modern Blue Pearl Coat. Side air curtains and stability control are standard equipment on all models; a knee-blocker airbag is also standard, as is dual-zone air conditioning. A rear back-up camera system is optional on Touring and Limited models, and a larger, eight-inch rear seat video screen has been incorporated into the available rear seat entertainment system. Heated seats, DVD navigation, and a premium Infinity Intermezzo surround sound with eight speakers and subwoofer are on the options list. car has been trouble free. have over 120000 miles and have n't had any problems at all.